A Norwegian warship was repeatedly warned of its collision course with a Maltese oil tanker before then hitting it in a fjord, the BBC has been told. 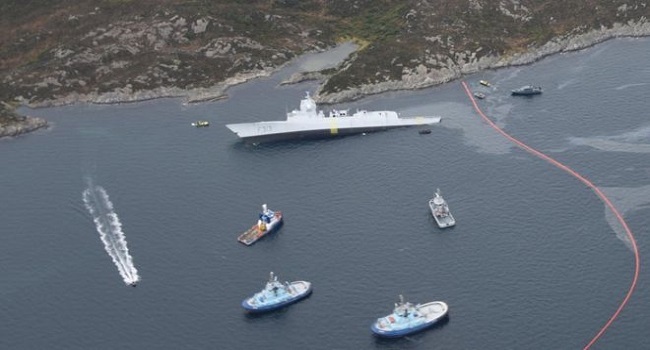 The KNM Helge Ingstad has been listing dangerously since Thursday’s collision in the Hjeltefjord near Bergen. “The tanker, which was heading northbound, contacted the frigate, heading southbound, to ask if they had a plan to safely pass them as they seemed to be on a collision course,” Kjetil Stormark, the editor of AldriMer.no told the BBC.